Fleeting, brutal, and wickedly fast – these are the words that best describe the Group B era of the WRC, a period now known as the Golden Age of Rally. In just a few short years, Group B spawned some of the most legendary race cars to ever churn terra firma, but few capture the unbridled insanity of mid-‘80s rallying quite like the twin-charged, mid-ship, AWD monster known as the Lancia Delta S4. 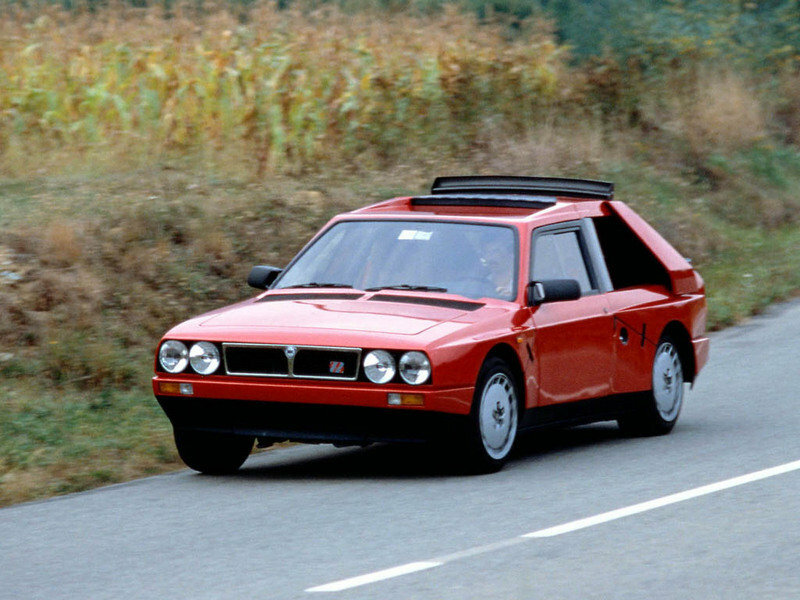 Although Group B regulations were notoriously vague, competitors still had to produce a limited number of homologation specials for public consumption, and as such, Lancia dialed back the boost on the S4, added a thin veneer of civility, and tacked on some license plates. The result is called the Stradale. Don’t let the civilian appointment fool you – under the skin, the Stradale is still very much a rally hero, with the same cutting-edge go-fast technology as its competition-spec sibling. Unfortunately, this abundantly obvious performance heritage makes it difficult to find an example in its original factory condition, as many were either converted into club racers straight out of the box, crashed, or both. That said, if you know where to look, and you’ve got an extra six figures burning a hole in your pocket, there are a few out there that are still up for grabs. 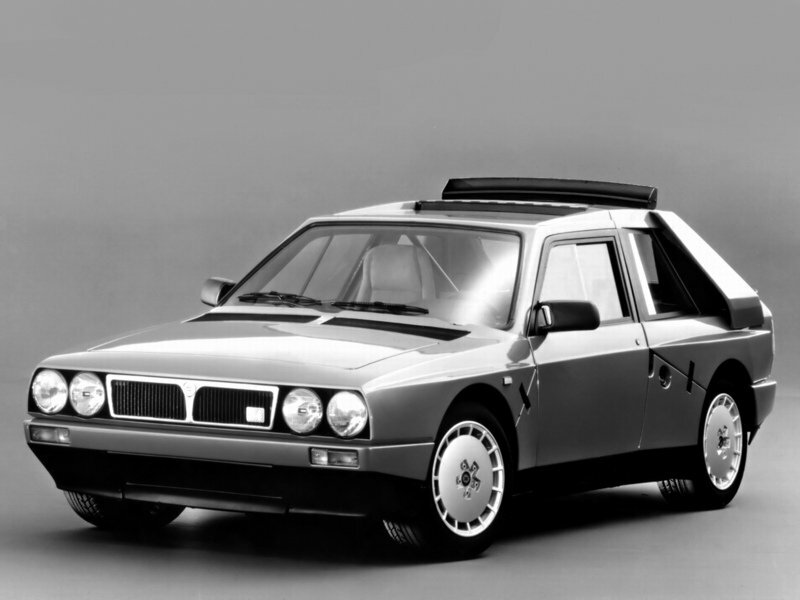 Continue reading to learn more about the 1985 Lancia Delta S4 Stradale. Lancia is an Italian automaker with a long history in motorsports, including Formula 1 and sports cars. However, its greatest accomplishments are in the world of rally, and to understand the Delta S4 Stradale, you must first get to know the racer it’s based on. 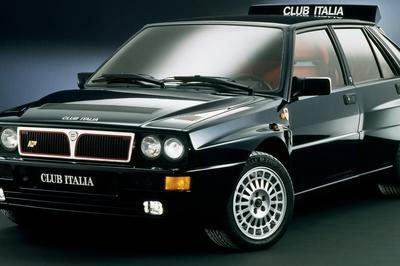 After a pitched battle for the WRC manufacturer’s title in 1983, Lancia realized that the only way it could stay competitive with the Audi Quattro was to come up with some all-wheel grip of its own, and thus, the Delta S4 was born. After development, the car first tasted competition at the final event of the ‘85 WRC season. After development, the car first tasted competition at the final event of the ‘85 WRC season. It was an immediate success, securing a 1-2 finish thanks to the skillful driving of Henri Toivonen and Markku Alen. The Lancia team managed to carry that momentum to Monte Carlo, the first event of the ’86 WRC season, with Toivonen once again wheeling his way to the top of the podium. At the following Rally Sweden, Toivonen suffered an engine failure, but Alen managed to secure a second-place finish. At the third race of the season in Portugal, the dangers of Group B racing once again came to light when Joaquim Santos crashed his Ford RS200 into a crowd of spectators, killing three and injuring 30 more. Tragedy struck again two races later at the Tour de Corse, when Toivonen’s Delta S4 slid off course and went into a ravine, bursting into flames and killing both Toivonen and co-driver Sergio Cresto. The death of Toivonen and Cresto prompted officials to end Group B racing after the 1986 season, and although Markku Alen went on to take second in the driver’s championship that year, the Delta S4 was permanently retired afterwards. In total, the car saw 12 WRC entries and five wins. 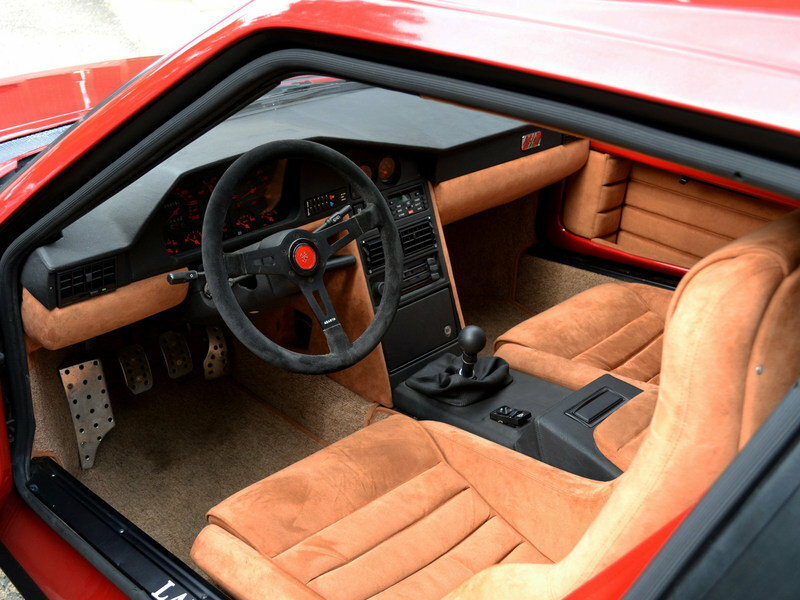 The S4 Stradale is pure ‘80s through and through, a blocky speed hatch of right angles and hard corners. To help it mimic the exaggerated aero of the race car, the Stradale incorporates a similar roof spoiler and intakes in the rear flanks. There’s also a waist spoiler on the hatch. Sadly, the front splitter isn’t present, but it makes sense when you consider daily road hazards like speed bumps and sloped driveways. To meet the demands of a competition vehicle, the racer’s body was constructed from carbon fiber and kevlar, with large removable sections making for a quick swap should any body panels be damaged during a stage. The Stradale isn’t quite as exotic, but does offer epoxy and fiberglass in lieu of carbon to keep curb weight as low as possible. Additionally, real glass windows are used instead of Lexan. One of the coolest things about the Stradale is the way the front and rear shells flip up for easy access to the various hard bits underneath, just like the race car. 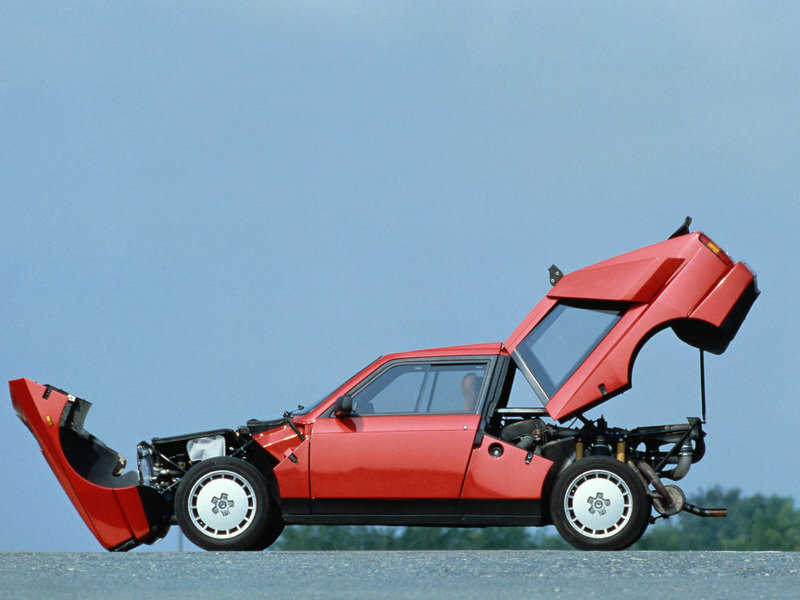 Taking a peek under the skin, you realize how stripped down the Lancia really is, as the body doesn’t amount to much more than thin plastic covers for the underlying chassis components. Surprisingly, the Stradale is actually outfitted with a good deal of amenities for a stripped-down road rocket. I wouldn’t go so far as to call it luxurious, but you will find Alcantara upholstery, real carpeting, air conditioning, and power steering. Unlike the ultra-thin bed-sheet-like doors on the race car, the Stradale also gets sound deadening, plus a few hand-stitched details here and there. Of course, all the usual speed goodies are still present and correct, like deep bucket seats, drilled aluminum pedals, and high-performance gauges, and the mishmash between features for competition and backside coddling create an interesting mix for anyone fortunate enough to spend some time in the cabin. Just like the race car, the S4 Stradale is powered by an all-aluminum, longitudinally mid-mounted, 1.8-liter inline four-cylinder engine with double overhead cams and 16 valves. 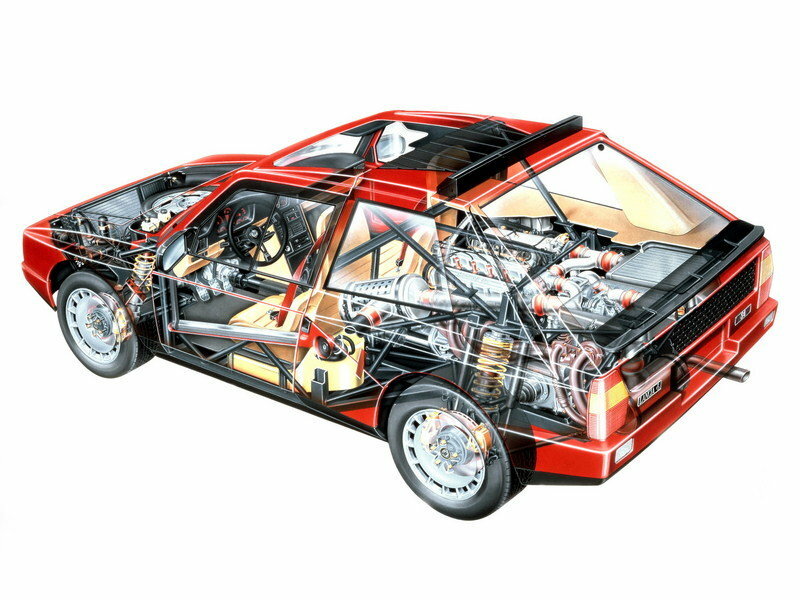 The engine is based on the same blown four-banger as was used on the 037, but rather than incorporating just a supercharger, Lancia also threw on a turbo, making it the first-ever twin-charged engine. The system is incredibly complex, but the reasoning behind it is rather simple – while superchargers provide great low-end muscle, they tend to lose steam higher in the rev range. Conversely, big turbos make plenty of peak power, but need extra rpm’s to get up to speed. The S4 uses both, providing a fat torque curve that never seems to end, with the supercharger handing boost duties to the turbo around 4,000 rpm via a bypass valve. In competition form, the always-boosted S4 boasts an official output of 480 horsepower, but rumor has it something like 600 horsepower is closer to the truth. What’s more, Lancia’s engineers were able to produce as much as 1,000 horsepower in testing thanks to ungodly levels of boost. That’s 250 horsepower per cylinder, for anyone keeping score. Either way, the racing-spec S4 could hit 60 mph in two seconds dead. On gravel. I’ll give you a moment to try to wrap your head around that. Of course, the road-going Stradale isn’t quite as ludicrous. 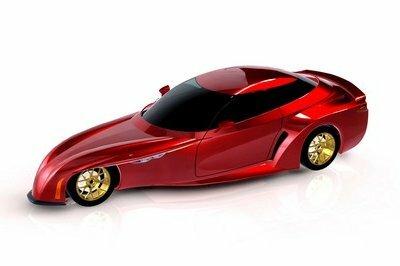 While the mid-mounted, twin-charged 1.8-liter engine is still in place, output is detuned to just 247 horsepower at 6,750 rpm and 215 pound-feet of torque at 4,500 rpm. It also gets dual intercoolers, ignition and fuel injection by Weber-Marelli IAW, and a compression ratio of 7.0:1. 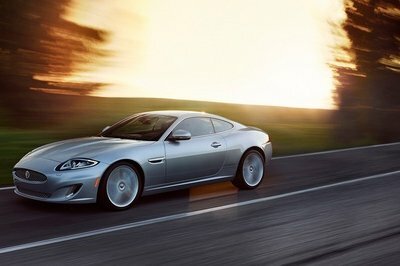 In the road-legal spec, performance numbers look like 0-to-60 mph in less than six seconds and a top speed of 140 mph. However, it’s rumored that much more power is easily found with just a few minor modifications. 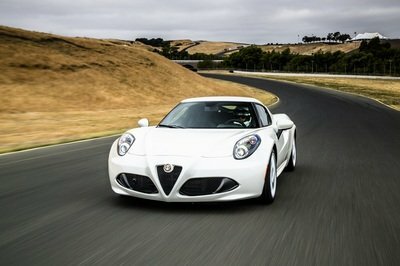 Both the road car and racer use a five-speed manual transmission from ZF. The AWD system was developed by Hewland, and incorporates three differentials, with 30 percent of the torque sent to the front open diff, and 70 percent sent to the rear limited-slip diff. Lift the covers on the Stradale, and you’ll find a tubular space frame with Chrome-Moly steel tubes and aluminum crash structures. The suspension is independent at all four corners, with double unequal-length wishbones, coil springs, telescopic hydraulic shocks (double in the back), and anti-roll bars. Turning it is a rack and pinion hydraulic power steering set-up. The tires were originally sized at 205/55R16, while the brakes are vented discs from Brembo. Finally, thanks to Lancia’s no-frills approach to performance, curb weight is a mere 2,646 pounds, even with the complicated AWD system and twin-charged engine. Officially, Lancia was required to build 200 examples of the Stradale to meet homologation. However, the final production numbers are still a matter of debate. Complicating matters is the fact that many Stradales ended up gutted and raced, plus there were the inevitable wrecks. Some suggest only 65 were ever produced, while others say the number is closer to 150. 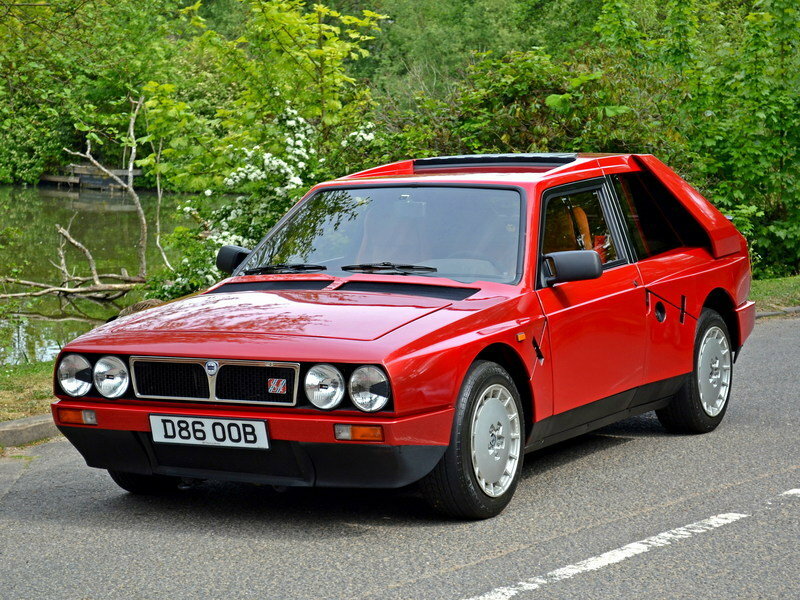 Regardless, the Lancia Delta S4 Stradale is one of the rarer collectible cars out there. When new, pricing was 100 million Lira (almost $60,000 at current exchange rates, 7/19/2016), five times that of the HF Turbo, Lancia’s second most-expensive model at the time. These days, if you manage to find one at auction, expect to shell out between $125,000 to $400,000, depending on history and condition. 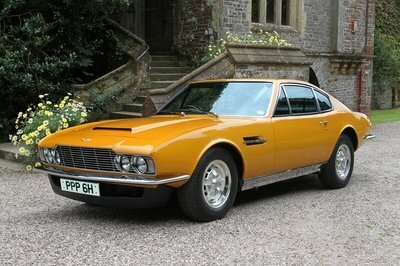 If you’re interested, there’s one going up for sale next month at the Gooding And Company auction in Pebble Beach. Don’t forget the checkbook. 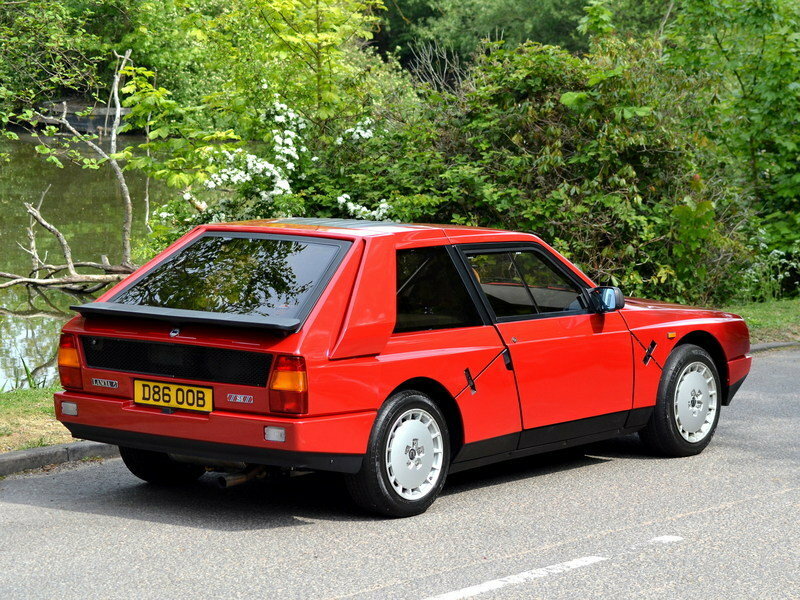 The name means four in Italian, but Lancia didn’t need any help to see why this Audi was so dominant. 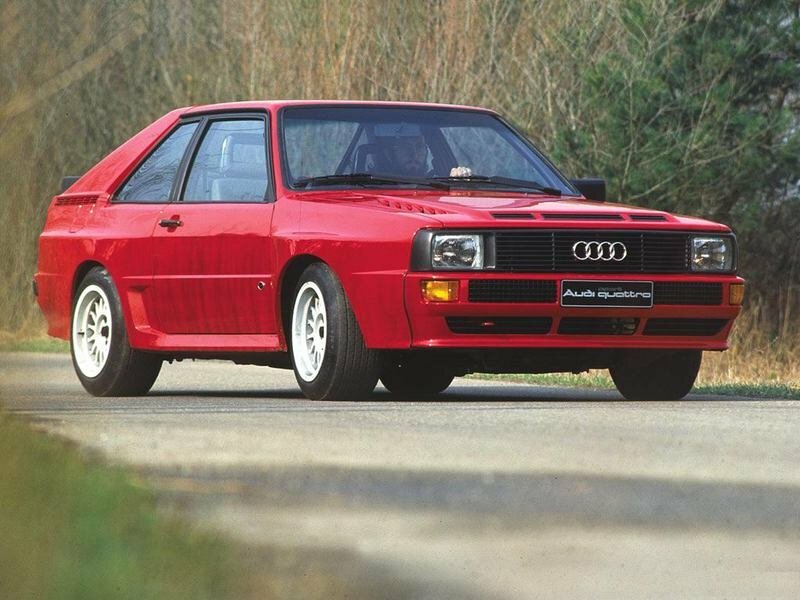 Originally, AWD systems were considered too heavy and clunky for legitimate racers, but the Four Rings changed that in a hurry when it dropped the turbocharged Quattro in 1980. 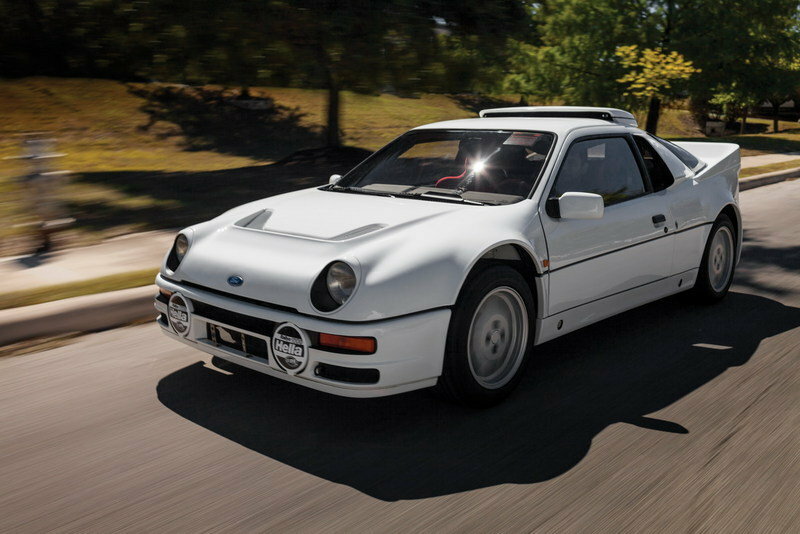 Like the Delta S4, the RS200 also mounts its engine in the middle and sends power to all four corners. Making the muscle is a turbocharged 1.8-liter engine (no twin-charger here), with output rated at 250 horsepower for street-legal variants. However, upgrades were available that would send that figure to well over 300 horsepower, if desired. The Delta S4 was created for just one reason – to win races. From that perspecitve, you could argue the Stradale was equally single-minded, as it allowed the racer to exist in the first place, and you don’t have to look far to find its purpose-built, hand-crafted, experimental roots. The Delta S4 Stradale harkens back to a time when the heart of motorsport technology beat in the dirt-munching sideways antics of rally racing. Group B afforded engineers and racers the opportunity to push the limits of what was possible on four wheels, and although tragedies were commonplace, a lot of good came out of it as well. For example, the proliferation of AWD technology is now the standard for safety on road cars, while twin-charged engines are being used for green efficiency. But no matter what your view on the Golden Age of Rally may be, this much is obvious – the cars are legendary, and the individuals that piloted them are heroes.